A fish man in a van visits our village every week, parking outside the town hall for half an hour or so. 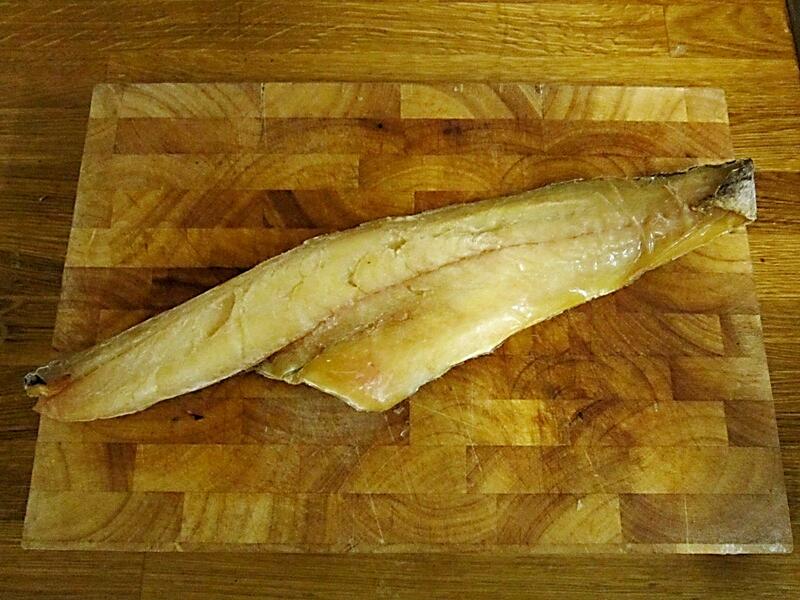 Perusing his locally caught wares, I couldn’t resist buying a mehusive hunk of smoked haddock. 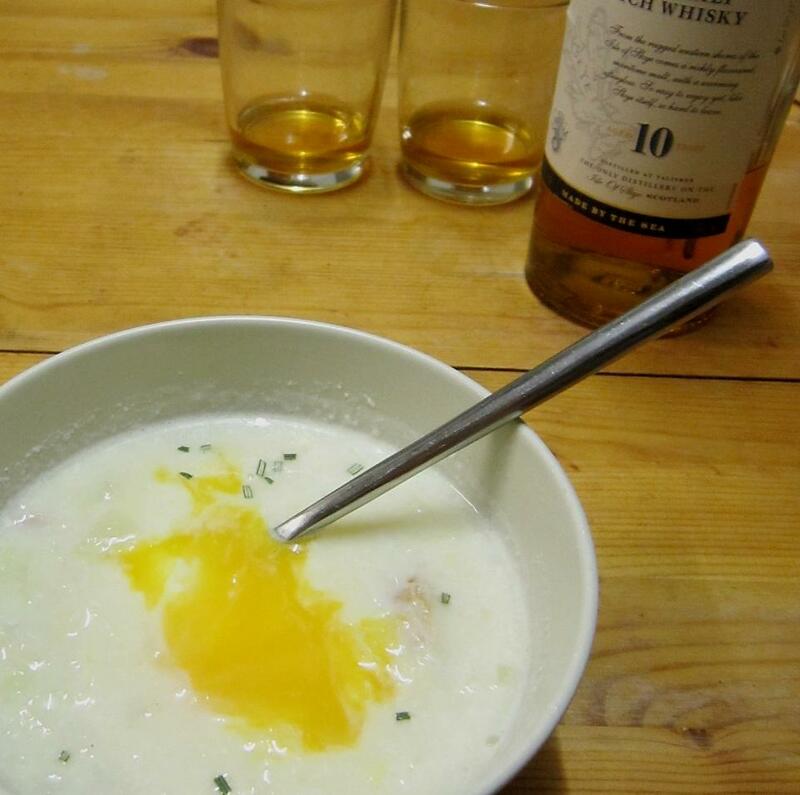 The intense oaky flavour of smoked fish (not dyed a lurid yellow) is perfect for adding an extra depth to creamy fish pies and soups, so on a frosty winter evening what better than a steaming bowl of Cullen skink? It’s a hug in a bowl. Originating in Cullen, a fishing town on the Moray Firth, the traditional recipe poaches lightly smoked finnan haddie with potatoes and onions or leeks. Cream can be used to give the soup a velvety luxuriousness, though I prefer just using milk. Full fat, of course. I tend to have the Rayburn lit when the temperature drops below freezing in my non-centrally heated house, so the pot happily poaches away at a gentle simmer. For a hearty supper, I drop in a poached egg and to truly celebrate winter-warming Scottish fare, why not serve with freshly griddled oat cakes and a wee dram. INSTRUCTIONS: Melt the butter and gently sauté the leeks until translucent, but not brown. 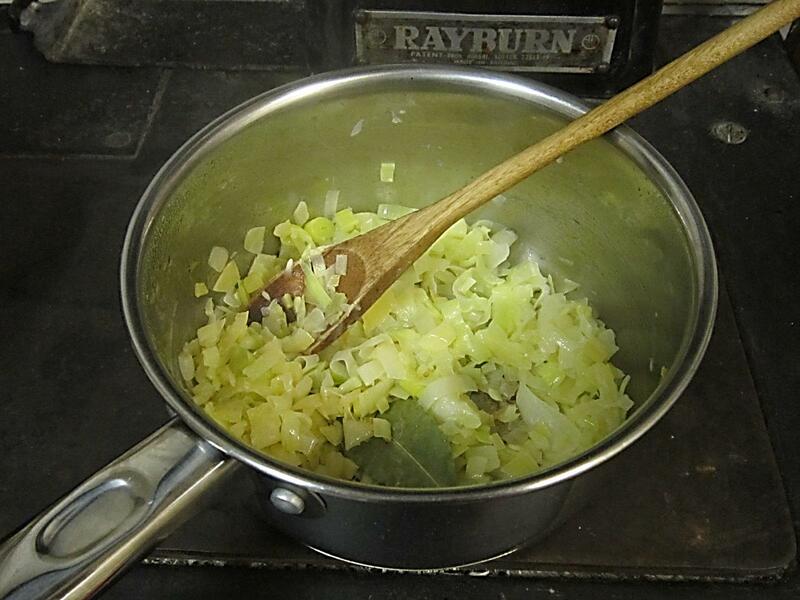 Add the diced potatoes, bay leaf, rosemary and lemon peel and cook for a couple of minutes before adding the milk. Simmer over a low heat for five minutes. The potatoes should be just cooked, but not soft. Add the fish and cook for another five minutes, until the flesh flakes easily. The potatoes should be soft by now. Lift out the fish using a slotted spoon and flake into large chunks. Discard the skin, any bones and the bay leaf, lemon peel and rosemary. Spoon out a couple of tablespoons of the potatoes and leeks and blend the rest of the soup with half of the fish. Season to taste and add a splash of cream for extra luxury if desired. Return the rest of the fish, potatoes and leeks to the soup base and drop in a poached egg. Serve with crunchy oat cakes, a wee dram of your favourite single malt and enjoy!